(Click here for the "Frequently Asked Questions" page). Configuration attributes for a GSM/GPRS modem when used on a specific wireless service provider's network. A set of bytes in a data packet which can usually be represented by the characters on a keyboard. When referring to data packets from a remote tracking device, an ASCII data packet indicates that all data bytes can be represented in printable text characters (usually with the exception of packet terminating characters, such as a carriage-return or line-feed). Generic term used to describe the various types of available GPS tracking applications. Data bytes comprised of binary data are typically not able to be represented as printable characters. Sections of a binary data packet are usually segmented into 1, 2, 4, or 8-byte formatted integers, or in rare cases IEEE-754 floating point decimal values (most binary data packets from tracking devices represent decimal values in an integer format with a fixed decimal point). Vehicle engine-bus communication standard for providing engine diagnostic information. The original form of data transmission used in GSM. Generic term for any GTS service which listens for incoming connections from remote GPS tracking/telematic devices. The purpose of the DCS is to receive incoming packets from a remote GPS tracking/telematic device, parse the received data, and insert the data into the appropriate database tables. A set of SAE fault codes generated by OBD-II (see below) to indicate touble issues with the vehicle. Abbreviation for the "Event Notification Rules Engine". An optional add-on module for the GTS Enterprise which can support complex rule definitions for sending notifications based on arrival/departure, speeding, digital input triggers, time of day triggers, alarms, etc. Defined as the number of seconds since Midnight January 1, 1970 UTC. Nearly every available operating system and programming language has tools for converting this time into a display format relative to any specified TimeZone. "Epoch Time" is the time format used for the "timestamp" column in the EventData table. A 32-bit number (typically represented as an 11-digit decimal value) usually used to uniquely identify mobile CDMA devices. Often confused with "Geostationary", a satellite in Geosynchronous orbit means that the satellite is at the same location in the sky at a specific time each day. A satellite with a Geostationary orbit is Geosynchronous, however a satellite with a Geosynchronous orbit is not necessarily Geostationary. A satellite in Geostationary orbit means that it is positioned directly above the Earth's equator, and has a orbit period equal to that of the Earth's rotation (and in the direction of the Earth's rotation). A type of geofence that represents a virtual geographical boundary around an office, home, or other place of interest. A polygon-type geozone is made up of 3 or more points representing the geographical boundary of the geofence. A point-radius geozone is made up of a single point at the center and a radius. A type of geofence that is made up of several points along a driven route, and a radius from the center of the line that connects the points along the route. A global time standard based on the time at Greenwich, England. All timezones are based relative to GMT. A packet based mobile data service used for providing Internet connectivity to mobile devices. 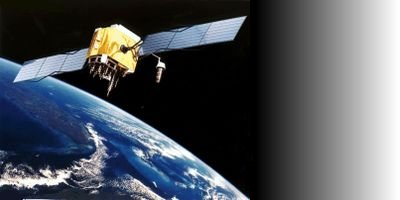 A network of satellites, maintained by the US, which provides location information to ground-based receivers. A phenomenon effecting GPS receivers which gives the appearance that the GPS receiver is moving, sometimes with significant distances within a large area, even though the GPS receiver has remained stationary. The effect is more pronounce when the GPS receiver is located inside or near tall buildings, in canyons, etc. "GPS Logger" or "GPS Data Logger"
A device used to record periodic GPS tracking information within its internal memory which is intended to be downloaded to a computer at a later time. Commercialized version of the OpenDMTP client application. Generic term to be either of OpenGTS®, or the GTS Enterprise tracking systems. Abbreviation for the "GTS Enterprise". Commercial GPS fleet tracking system built on the open-source OpenGTS® version, with many additional features. A value indicating the horizontal accuracy of a GPS fix. This value ranges from 1.0 to over 20.0. The larger the value, the less accurate the GPS fix. This is an agreement between the US and Canadian Provinces to simplify the reporting of fuel used to operate vehicles that cross jurisdictions. A 15-digit number that uniquely identifies a GSM cell-phone or modem on a GSM network. The IMEI number can usually be found printed on a label in the battery compartment of a GSM cell-phone, or on the bottom of a GPS tracking device utilizing a GSM modem. Used to identify wireless network mobile stations. Used in conjunction with MCC to uniquely identify a wireless operator. Any service which integrates the geographical location of the service requestor. Typically used in mobile devices. The area above the surface of the Earth typically extending from 200 to 2000 kilometers. The area above the surface of the Earth typically extending from 2000 to 35000 kilometers. Generic term for any computer resident in a vehicle which provides engine diagnostic information. Standardized type of engine diagnostic interface. The Open-Source GPS Tracking system available for download from SourceForge. A network service that assists a Device in determining its position. The PTCRB organization that provides compliance certification for mobile/cellular devices operating in North America. A "Real-Time" GPS Tracking is essentially any system where the remote tracking device is able to immediately send GPS location information and telematics to the server over some form of transport media, such as GPRS, CDMA, Satellite, WiFi, etc., allowing the GPS data to be available for reporting and mapping shortly after the event was generated on the device. The term "immediate" here is relative, however. There are several external factors which can delay the delivery of the generated GPS event to the server. These factor may include, but are not necessarily limited to, coverage area limitations, wireless network delays, etc. Non-Real-Time GPS Tracking systems would include those that use "GPS Loggers" to collect data which the vehicle in in transit, and where the logged data is captured when the vehicle finally returns to the office or other home-base. A wireless short-range detection system used to track items (ie. pets, packages, equipment, etc) which have been equiped with special RFID "tags". A professional organization which establishes standards in the automotive industry. Generic term for systems which augment/improve the accuracy of calculated GPS locations. A text-based communications service used on mobile devices. SVR - Occasionally used to abbreviate "Stolen Vehicle Recovery"
A peripheral device that provides electrical power to a computer in the event of a power-fail. Highly recommended for computers experiencing frequent power-outages. An installed UPS can provide enough time to properly shutdown a system gracefully, preventing possible MySQL index file corruption, or other issues. Developed by the FAA to improve the accuracy of a calculated GPS location. The standard latitude/longitude coordinate system used for navigation and GPS tracking.